Flip a coin. 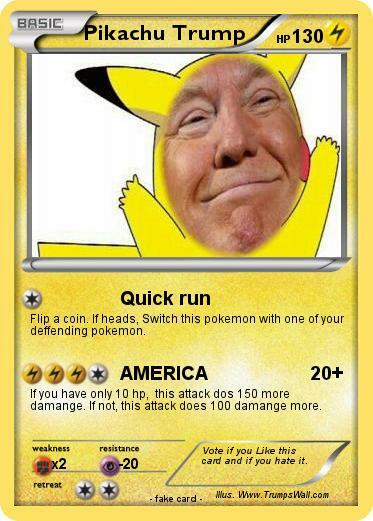 If heads, Switch this pokemon with one of your deffending pokemon. If you have only 10 hp, this attack dos 150 more damange. If not, this attack does 100 damange more. Comments : Vote if you Like this card and if you hate it.